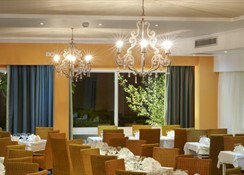 Located in front of a fantastic beach, in a blossom garden with Pine trees with new infrastructure, fully renovated rooms and up-to-date facilities, Portes Beach Hotel is a perfect choice for family vacations providing warm hospitality and friendly service from professional and experienced personnel. 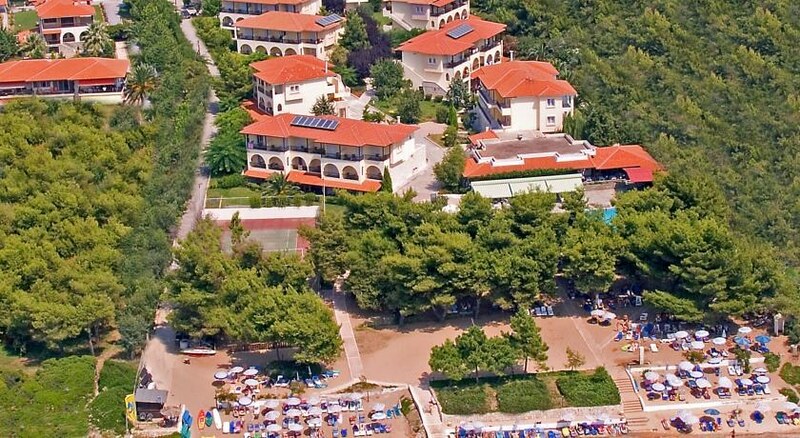 Portes Beach Hotel offers great view of the mount Olympus, and is located in an idyllic landscape, surrounded by green gardens, pine trees, blue sea and the bright colors of flowers. Portes Beach Hotel has 204 rooms, elegant, spacious and air conditioned, with balconies or terraces from where the views of the blue sea and the gardens are magnificent. 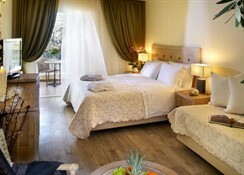 Portes Beach Hotel is located in front of the beach of Nea Potidea, at the Kassandra peninsula. A great area of 6500 acre is spreading opposite the hotel, which has been designated as an ecological NATURA area. 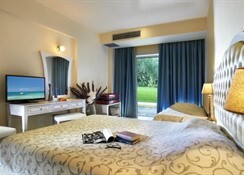 Rich of vegetation and aquatic birds, ideal for walks and bird watching, and also for swimming in the nearby beach. 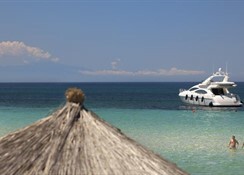 Thessaloniki’s airport “MACEDONIA” is 54 km (just 30 minutes) from the hotel, as well as the city of Thessaloniki (65km). While, as the hotel is located in a focal point, it is ideal for easy and short excursions in both Halkidiki and the city of Thessaloniki.